From left to right: Saint Rose of Lima, Saint Joan of Arc and Kateri Tekakwitha. 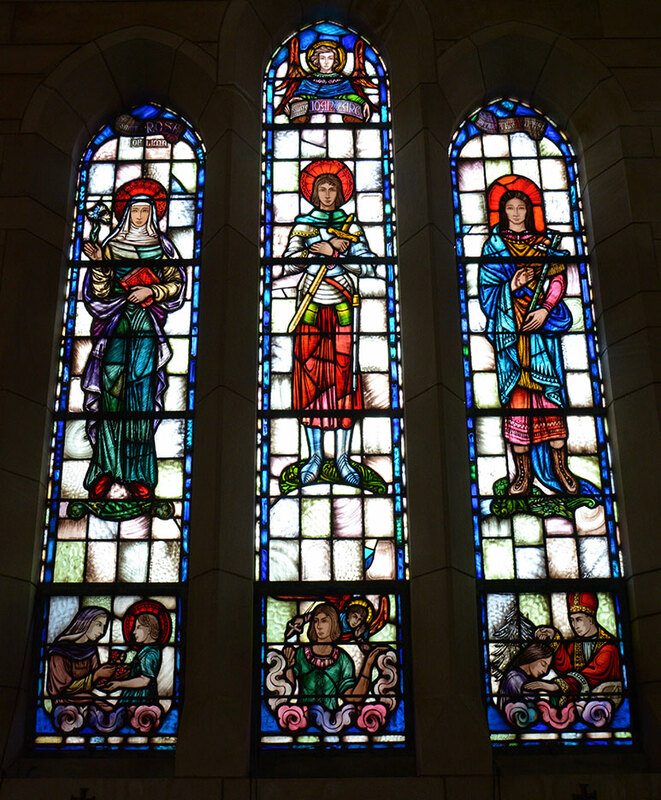 In the Immaculate Conception Chapel, the windows depict patron saints of a specific ethnicity or nation. These women serve as inspiration for their people.